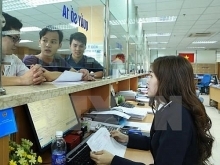 The Ministry of Finance will concentrate on collecting the current tax arrears of VND34 trillion (US$1.53 billion) from enterprises with repayment capacity and strengthen inspection over all enterprises to increase tax collection and compensate for revenue shortages. Deputy Minister of Finance Do Hoang Anh Tuan made the remarks at a press conference on budget revenue held on October 26. The Deputy Minister said that the budget revenue in 2015 was forecast to exceed the year's estimate of VND17.4 trillion (US$783 million) as stated in a report recently presented to the National Assembly. The main reasons, Tuan explained, were high GDP growth expected at 6.5% and higher rate of enterprises capable of paying tax at 39-42% instead of around 30% in the previous years. However, he noted that the budget revenue will be short by VND31 trillion (US$1.4 billion) in 2015 because of the declining prices of crude oil and the lowered import duties on diesel and fuel oil when integrating into the ASEAN bloc. To compensate for the shortage of budget revenue, the National Assembly has approved the government proposal to use VND10 trillion (US$450 million) raised from selling state stakes in enterprises, Tuan said. He added that the government and the Ministry of Finance will make every effort to collect tax and tax arrears to restrict the use of these disinvestment proceeds. 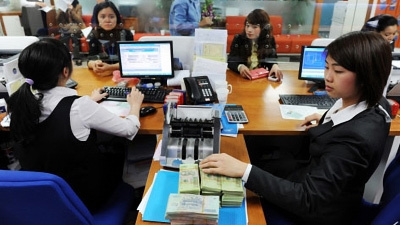 The Deputy Minister said the Finance Ministry will endeavour to collect VND17 trillion (US$765 million), equivalent to about 50% of the total tax debt of VND34 trillion to deal with the budget deficit. The Finance Ministry will focus inspection on enterprises particularly those claiming tax refunds. He stated that the ministry has established five units specialising in preventing transfer pricing with the focus on large corporations or suspected enterprises to ensure the right collection of tax and prevent trade fraud. In addition, by the year's end the General Department of Taxation will build a data base on tax of 11,500 foreign direct investment enterprises in a bid to help the Finance Ministry to enhance the capacity of transfer pricing prevention./.